Michael has a dual membership to the Georgia Bar and New York State Bar. While in New York, Michael maintained a diverse practice, including family law, criminal defense, residential real estate and consumer bankruptcy for approximately 15 years, both as a solo practitioner and as lead associate attorney in a mid-size law firm on Long Island. Since relocating to Atlanta, he has focused his legal career primarily in family law. 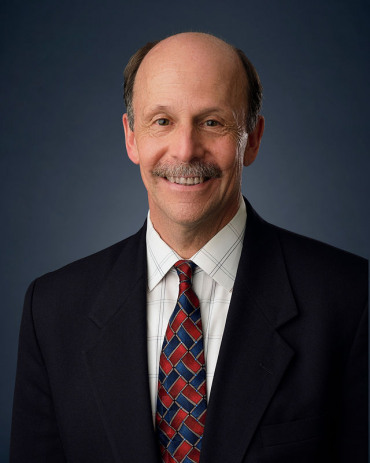 Prior to joining Meriwether & Tharp in February, 2015, Michael maintained a solo practice in Norcross, Georgia for over 20 years. He has successfully handled a vast range of family law cases including, uncontested and contested divorce, child custody, support, equitable division, modification, contempt, family violence, legitimation, pre/post nuptial agreements, and step-parent adoption. His practice has taken him to the entire Metro Atlanta area including, but not limited to Barrow, Clayton, Cobb, DeKalb, Fulton, Gwinnett, Hall, in addition to Augusta, Catoosa, and Meriwether Counties. Michael strives to maintain a high level of professionalism while dedicating a fierce commitment to attaining the needs and realistic goals of his client. Michael is also a frequent presenter at the Fulton County Family Law Pro Se Litigant Workshops. On a personal note, Michael has been married for nearly 30 years and has one adult son and 2 family dogs. He has maintained his passion for racewalking initially on a successful competitive level, and more recently on a leisurely basis. Michael is a past President of the Walking Club of Georgia, Roswell Rapids Swim Team Booster Club President, former marathon coach, and is proud to have completed 7 full marathons and many more half marathons. "I couldn't have gotten better representation than with Michael Schlifka! My divorce process lasted for a little over a year and Michael was there every step of the way; vehemently representing me, guiding me and keeping me calm. In the end, things worked in my favor and I received everything I wanted. It wouldn't have been possible without Michael." Posted by Cindi. "Michael has been my lawyer(family law) for 14 years...He handled all of my court cases with my sons father...I was never disappointed.. Michael also acted like a friend I knew when I was upset I could call him and always felt better after I talked to him...My new husband and I hired Michael again to handle some issues with my step sons mom....I trust him so much I will not hire no other lawyer....Cost wise he is with in our range...I have also sent friends his way and they were happy as well.......Thank u for all u do Michael I can never thank u enough..." Posted by Michelle Bone. "Mr. Schlifka took care of my divorce (complicated). Later he did my will and other documents. On still another occasion he saved me from the predators at a local gym who got me to sign a contract unknowingly. Mr. Schlifka was respectful, patient, and totally ethical. In two very emotional situations (the divorce and problem with the gym) Mr. Schlifka knew just what to do. He is extemely thorough and also trustworthy to the nth degree. Although I was not a "big ticket" client, he took care of me as well as if I were wealthy." Posted by Andrea.